Here is an easy pet pattern for a fabric ball that is both fun for pets and kids. 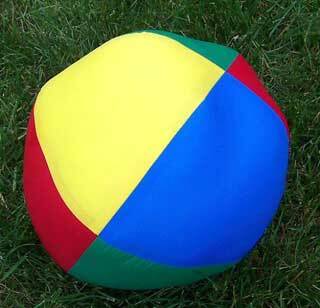 This ball looks like a beach ball and measures 40 inches in circumference. Step by step instructions help make this a simple project.